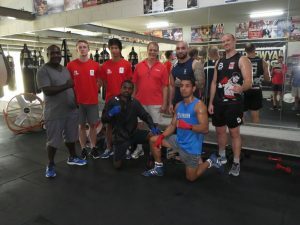 The ISEA Student Engagement Award was used in order to help me subsidise my transport and accommodation costs while participating in a Sports Engineering internship based at Griffith University, Nathan Campus. 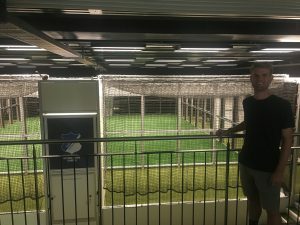 Having access to the ISEA grant was extremely beneficial for me as it allowed me more financial stability when settling into my role as a sports engineering intern in Australia. 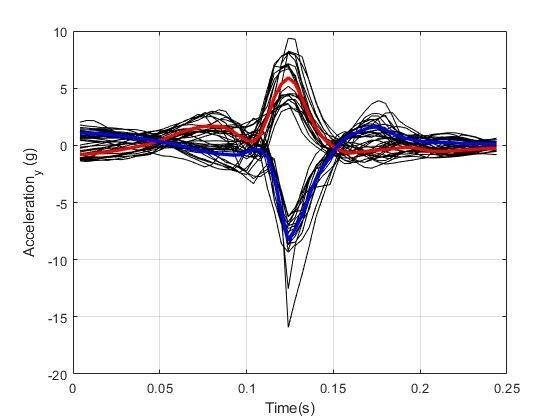 From the study we were able to determine the IMU sensor placed at T3 was indeed suitable for monitoring boxing performance in various scenarios and determining left/right punches was possible along with their corresponding magnitudes. It was deemed the use of the T3 sensor was favourable due to it being place in a less invasive position. However there was less success when monitoring fatigue levels during these trials and the results from the study were inconclusive. I would like to thank Griffith University and the ISEA for their support throughout my placement the opportunity to study and complete a research project in another country has been a valuable experience for me as I look towards completing my degree. 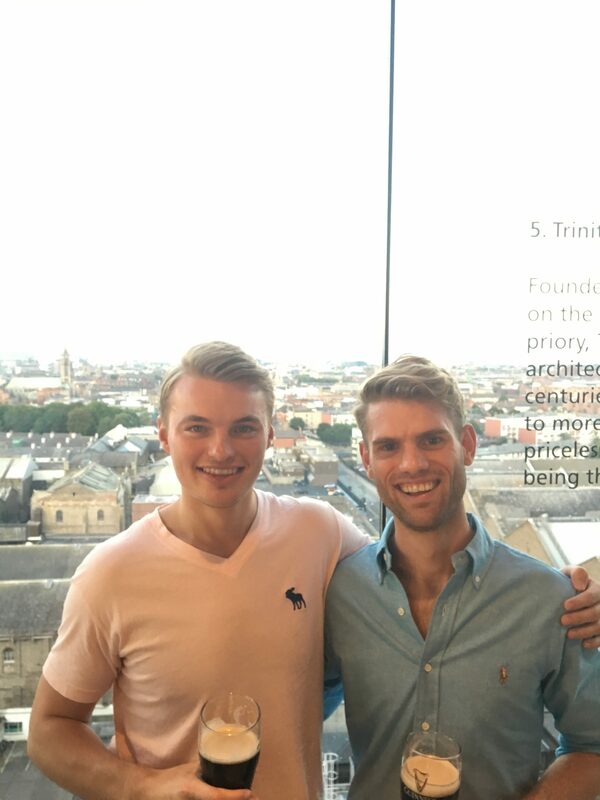 After presenting at the European College of Sport Science congress in Dublin, I travelled to Germany to collaborate with Adam Beavan (Saarland University/UTS PhD candidate) on a research project. I would like to thank the ISEA Student Engagement Award for funding this component of my trip. The funding helped cover the costs of transport and accommodation, allowing this project to go ahead. 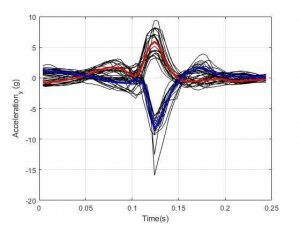 The data collection involved the quantification of exploratory head movement using inertial measurement units while football players completed a novel football passing task. With this data, we will investigate how the exploratory action before players receive a pass influences their ability to perform a subsequent pass. Data analysis will involve the synchronisation of the IMU data with video footage, coding of video footage and processing of the IMU data with a custom designed algorithm. The output will give an understanding of various qualities of exploratory action and how these influence subsequent actions with the ball. This is a relatively new area of research, so the findings will go a long way to informating our understanding of visual exploration in football. 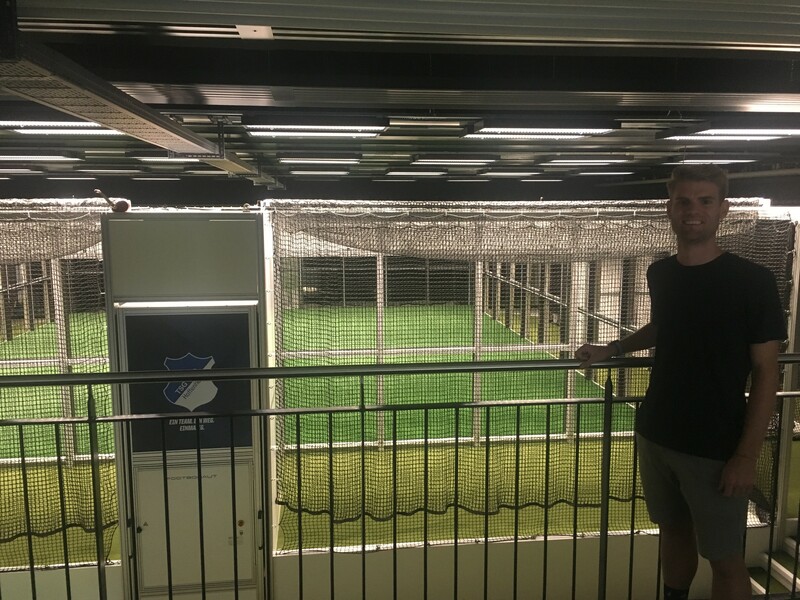 The collaboration with Adam allowed access to high level players for data collection, which will give an excellent insight into how highly skilled athletes use visual information to guide passing actions in football. This investigation is the first of many potential collaborations, even after both Adam and I complete our PhD studies, and the ISEA has played a significant role in making this possible. As a Msc student in Sport technology at Aalborg University, for my Master thesis project I investigated a method to develop a performance feedback system for ski cross skiers and coaches. 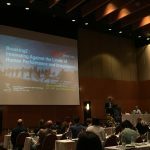 My supervisor was Professor Uwe Kersting and the project was in collaboration with the Swedish Ski Cross Team. I want to say thank you to the ISEA for funding this project. The funds were used to cover the travel and living expenses for one month in Are, Sweden. Three elite skiers of the Swedish Ski Cross Team participated to this study. 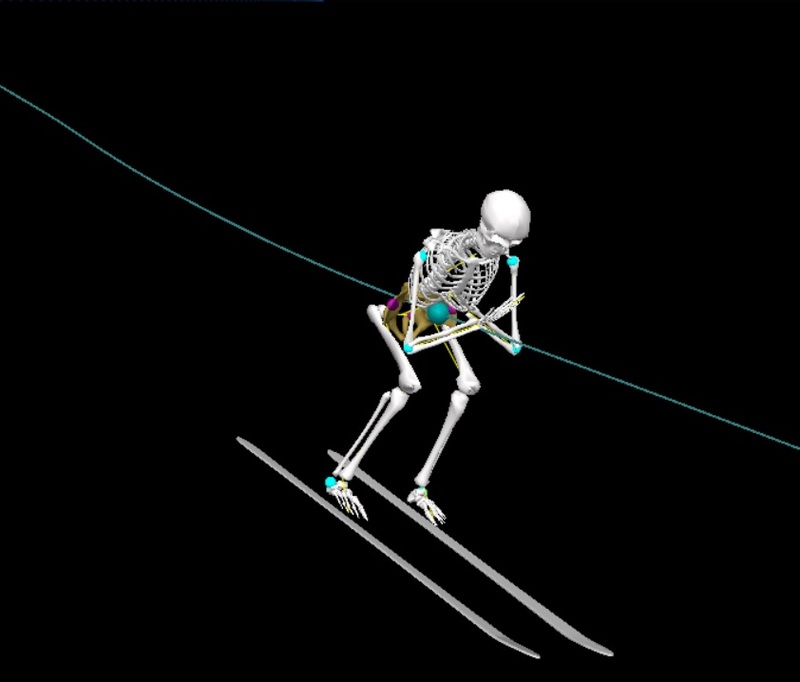 The equipment was composed by a wearable IMU-based motion capture system to collect the skiers’ kinematic data, and two GNSS sensors to collect the skier’spositioning data along the full ski cross course. 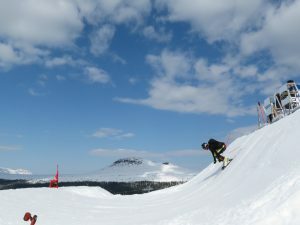 The test course included all the features typical of a ski cross run, such as turns, jumps, rollers, banks and negative turns. The mobile sensor was integrated in the back protector and worn by the subjects, and the base sensor was placed at the start. 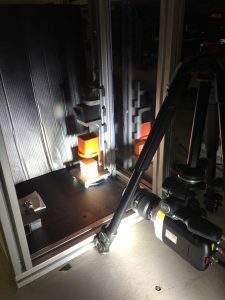 The positioning data from the two sensors were post-processed together to increase the data accuracy by applying the relative positioning technique. The files containing the kinematic data were then converted into c3d files and fused with the files containing the positioning data into a new c3d file in MATLAB. The new c3d file was successively imported in Visual3D, where the kinematic data of interest, i.e. the pelvis-feet distance along the three anatomical axes, and the pelvis and feet trajectory along the whole run were analysed. My research work at Griffith university gave an insight into how inertial sensors can be used in the game of cricket. Trialling these sensors firstly with bowling but completing my final report on batting. As researchers we looked at placing an inertial sensor on the thoracic vertebra to see what data could be recorded. This was the most practical and viable place to put a sensor as it can be used in a real game scenario. After using two elite batsman in manipulated and real game trials we recorded data onto a bought software to interpret it (Matlab). Our findings showed that when batsman’s recorded data in manipulated trials patterns emerged which could be identified and quantified. A sensor seemed to be able to detect when a ball was hit and trends on graphs could indicate what type of shot was played (shot classification). However, data recorded in a real game scenario was more problematic. Due to the numerous degrees of freedom in cricket batting it was problematic to interpret output graphs, especially when compared to the initial trials. In the future we hope that the sensors improve in order to record accurate and higher ranged data. Overall, a big step was taken in this specific field and the idea holds huge viability in the game of cricket. Hopefully the next step is for my written up paper to be published and cricket teams become aware of the potential these sensors have in the future to record quick information elite players need when batting. Work on the IMU sensors at Griffith is ever increasing and improving to produce a exceptional IMU sensor. 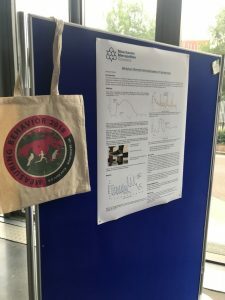 On Wednesday 2nd May 2018, Manchester Metropolitan University held a Sports Engineering Seminar Day, which was organised and run by PhD students from the university. The ISEA and IET sponsored the event. Our aim was to promote Sports Engineering in an academic environment, raise awareness of the subject and disseminate work in this field within the UK. The day began with a tour of facilities including the Manchester Fashion Institute, Print City (Additive Manufacturing), engineering workshops and human movement lab. 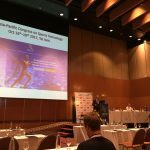 There were four key themed sessions throughout the day including ‘Sports Apparel and Biomechanics’, ‘Health and Injury Prevention’, ‘Simulation in Sports’ and ‘Materials and Equipment Mechanics’. We had industry speakers from Pentland Brands (Speedo & Canterbury), Defence Science and Technology Laboratories and ANSYS, as well as academics and PhD students from UK universities – Manchester Metropolitan, Loughborough, Sheffield Hallam, Chichester and Strathclyde. Over 110 people from 12 universities, 11 companies and students from a local college joined us for the day, attracting new audiences to Sports Engineering. There were prizes awarded for best student presentation (including Speedo prize), best poster, two student engagement awards and best tweet. Our twitter feed for the day can be found @SportsEngUK or using the #SESday. Feedback forms (and discussions) indicated the event was again very well received, although some people would have liked fewer talks to allow more time for discussion. There was clear interest to continue making this an annual event in the Sports Engineering calendar, and Loughborough University will take on the role of host in 2019. We would like different institutes to host the event on a rotational basis, facilitating travel from different areas of the UK while helping to keep the event fresh, encouraging new industry partners, and university students and staff to attend. 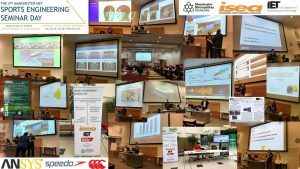 Continued interest in the event will help to build up a UK hub of sports engineers, inspiring a new generation to come through and join the ISEA. We would also like to set up a community for all Sports Engineering PhD students to communicate and share ideas, with possible funding going towards further networking. Finally, we would like to thank the ISEA for sponsoring the event, without the sponsorship it wouldn’t be possible. I believe many people made new contacts and explored new collaborative projects in turn growing the sports engineering community in the UK. Through our senior colleagues we came in contact with Dr. Tom Allen and the Manchester Metropolitan University. 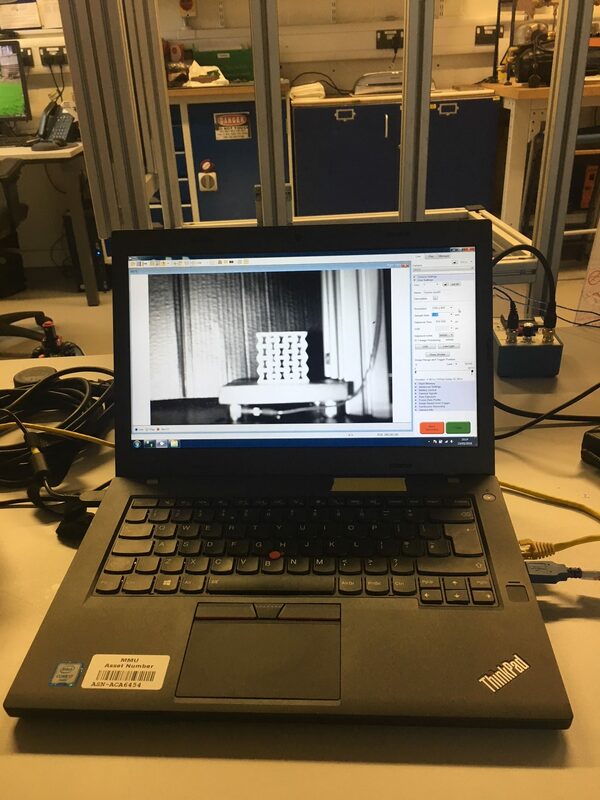 Due to our immense interest in Material Science and Additive manfacturing we were delighted to get the opportunity to work with the advanced equipment in MMU to synthesize Auxetic structures for Sport safety equipment. The duration of our project was between 18th January and 18th March 2018. The main objective of our project was to successfully manufacture re-entrant auxetic structures using a Lulzbot 3D printer, which is capable of exhibiting negative poisson ratio and high Impact resistance. 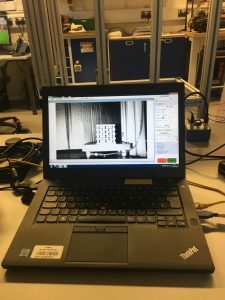 The result we were able to learn was the methodology to successfully control the structure of the auxetic using various settings and document it. This can be further used to build complex auxetic structures useful for the sports Industry. We had the opportunity to meet people from various departments and cultures and were able to share ideas for the betterment of our project. Since we were given the full wheel on the project we were able to fully understand the nuances of our work which helped us to improve our project management skills tremendously. 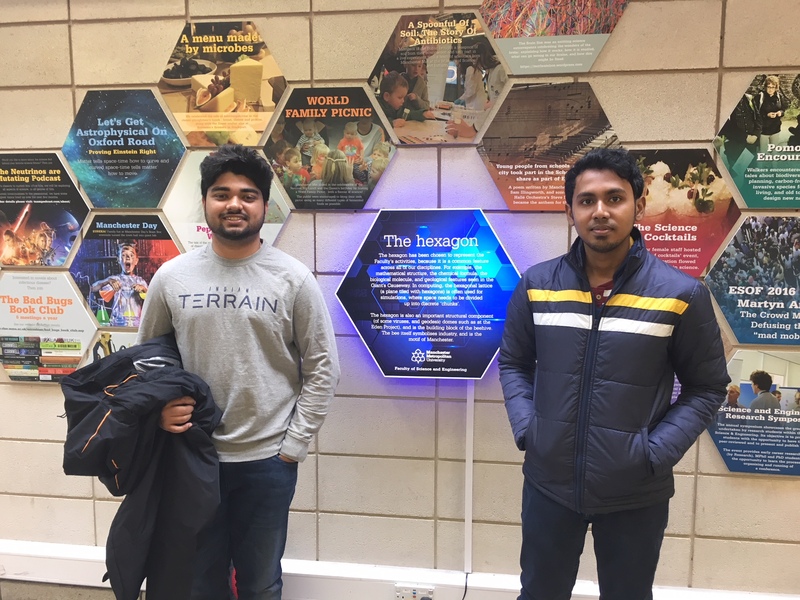 We being International students, the funding helped us in and out of the project and made sure that we were able to complete our project successfully. The funding covered our material costs, travel costs, etc. Finally we were able to explore a new range of possibilites in Material science through this project. We learnt about the future of materials in sports industries and also on how materials play a pivotal role in safety and protection. After this we will be pursuing our Masters and hopefully land a job in the sporting industry. We wish to thank ISEA for being making this tremendous opportunity a succesful journey. 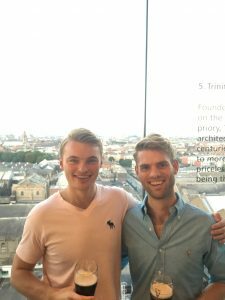 The funds provided to me by the ISEA helped me with travel and accommodation costs whilst living in Australia. This enabled me to fully focus my time on the role as a Sports Engineering research intern at Griffith University. I focused my research on looking into the use of inertial sensors to detect boxing performance. 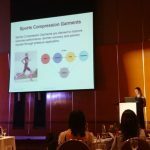 By the end of the internship we had completed an extensive research project that has the potential to be published into the Journal of Sports Engineering. 1. Be used instead of wrist sensors to detect acceleration, gyration and magnetometer outputs of punches. 2. Distinguish between a left and a right punch using sensor data. 3. Detect fatigue in an athlete. 4. Identify when a punch lands and its attenuation throughout the body. It was determined that an IMU sensor placed at T3 is suitable to monitor boxing performance in some scenarios. It is possible to determine both left and right punches along with their magnitudes when observing punch profiles and taking into consideration their time delay. Overall the use of a sensor located at the T3 is more favourable than located at the wrist due to being less invasive, smaller acceleration peaks and reduced chance of being damaged during testing. When testing fatigue the results were inconclusive with the peak acceleration increasing over the seven sets where it was hypothesised to decrease. Both the pad work and sparring trials were again able to identify left and right hand punches with a varying degree of accuracy however there was evidence that the sensors do have the capacity to be used in a dynamic environment. Further research is needed in order to determine whether the T3 is as optimal as the wrist for detecting fatigue and whether the increased acceleration is being caused by an over acceleration at the shoulders. A more in depth analysis of each type of punch would allow a clearer understanding of if (and how) individual punch characteristics differ from one another in their punch profiles. 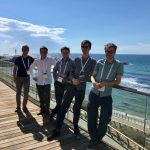 Finally, research into the development of a machine learning model would provide a better understanding in how possible it is to use an automatic points scoring system in a competitive scenario. As an undergraduate student I will be returning to Leeds to finish my BSc degree in Sport and Exercise Science (Industrial). However colleagues at Griffith University will continue the work with these sesnors to further analyse boxing performance. Figure 2 – Acceleration profiles for both participants during the 10 punch bag trials. Red line represents left hand average (positive) and blue represents right hand average (negative).